MEA has upgraded several diagnostic tools -- Optos to include a digital IVFA system, OCT to the Cirrus system, and the IOL Master to the 500 series. MEA believes it is important to remain current with techonology to ensure the best outcomes for our patients. Cynthia Matossian, MD presented "Pataday and Allergies" to Ophthalmologists in Princeton and Somerset, NJ. Priya Desai, MD presented "Protecting the Eyes of Baby Boomers" to area residents of Doylestown at the Health & Wellness Center. Cynthia Matossian, MD spoke to undergraduate pre-med students at Princeton University on "Work Life Balance". Cynthia Matossian, MD spoke on Restasis and Lastacaft to Ophthalmogists & their staffs in Newtown and Lancaster, PA.
Cynthia Matossian, MD was a guest speaker at the Mercer County Ophthalmology Society bi-annual meeting where she discussed her 'Flip and Slice' cataract surgery technique. 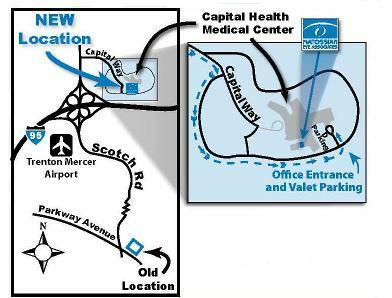 Our Ewing Office is moving to the Capital Health Medical Center-Hopewell. Our office will be located in the Medical Office building on the 3rd floor - Suite 326. The move will take place late May/early June. Our Hamilton office will remain opened. Recently Matossian Eye Associates conducted a case study to see how Luma, an educational program from Eyemaginations, affected a patient's experience. Saved 10 - 15 minutes per patient of eyecare professional's time. MEA's conversion rates are double the national average for all premium IOL & related surgical options. 87% of cataract patients said their experience was significantly improved due to patient education. For the original article written by Cynthia Matossian, MD, please click here. 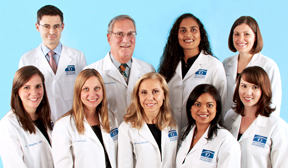 Matossian Eye Associates is proud to be recognized as one of the region's few accredited Dry Eye Centers of Excellence by Tear Lab. We at MEA are dedicated to providing the most customized treatments using the most advanced diagnostic techniques for the treatment of ocular surface disease. It has been estimated that more than 5 million people in the United States suffer from symptoms of moderate to severe dry eye. (1) These patients go from doctor to doctor seeking help with little or no satisfaction. Tear Osmolarity testing, a painless measurement of the tear film that only takes a few seconds, gives our doctors the information needed to determine the severity of the condition. This provides us with the needed data to design the most beneficial treatment plan for each patient. Daily aspirin use has been linked to increased risk of age-related macular degeneration (AMD) in a large European cohort study, according to a news release from the American Academy of Ophthalmology (San Francisco, Calif.). The study found that people aged 65 and older who took aspirin daily had double the risk of developing neovascular AMD compared with those who took it less frequently. "Daily Aspirin Use May be Linked to AMD" ASCRS Eyeworld Weekly News. Issue 17, Number 3. Web. 16 January 2012. Dr. Matossian recently posted a video on EyeTube demonstrating her LRI technique using Healon 5 (AMO). She places a ribbon of Healon 5 before making her corneal incision to reduce epithelial drag along the arcuate cut.